August Cooking Classes – Let’s Get Cooking! Hungry to learn how to cook? Sign up for a class! Check out the selection of hands-on cooking classes I will be teaching in August at Whole Foods Market in Redmond, WA. Can’t make it to a class? Send me a message and we can set up a private. Happy cooking! Have you cooked with swordfish before? Let’s give it a try together. Swordfish is mild in flavor and has a great meaty texture. Since fish isn’t enough on its own, we’re throwing in a great soup, salad and dessert! 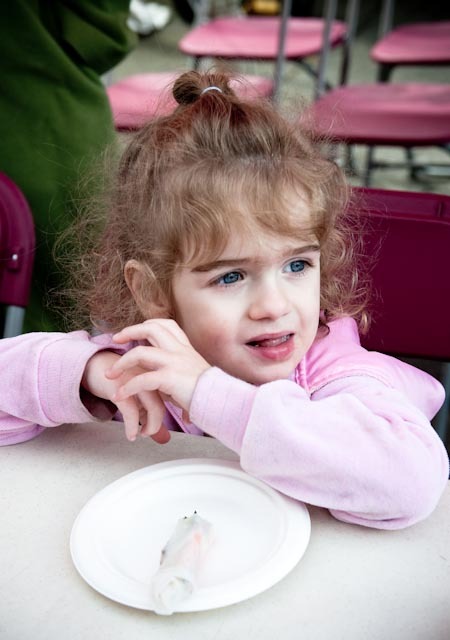 Join us at the Carnation Farmers Market for Stone Soup Kitchen. 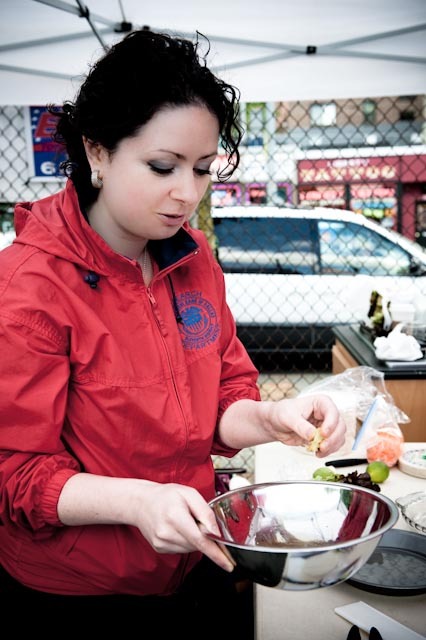 Our Culinary Center Director, Anna Berman, will demonstrate how to make soup from fresh, in season produce. The last few times, Anna made Cream of Asparagus Soup and Smoked Salmon Summer Chowder. Soup will be available for sale along with fresh baked bread from a local vendor and butter from Golden Glen Creamery. Proceeds benefit the Market. Healthy food is definitely not boring, but can be tricky sometimes. Come over to Salud to try these recipes packed with nutrient dense ingredients and flavor. We’ll be sure to take care of your stomachs and your hearts. The Spanish Tapas class last month sold out before I could say “Ole!” This month, the flavors of Spain are back with this comforting and delicious supper. Let’s start with these simple, French classic dishes adapted for a home cook. School’s out! Time for summer vacation. 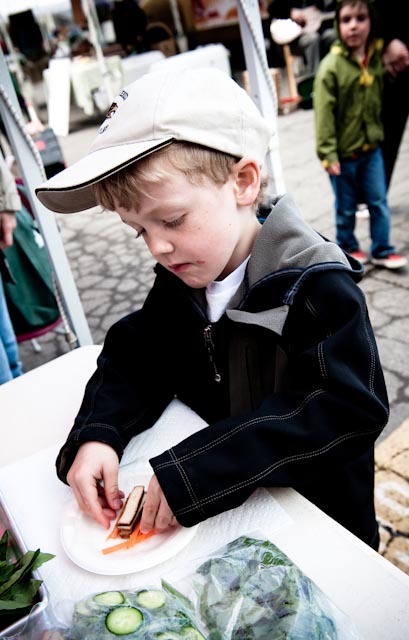 Why not spend a few hours of your kid’s free time in our kitchen learning about global cuisine? Each day, we’ll learn about a particular country, cook several recipes from its cuisine, and most importantly, enjoy eating our creations! This camp is for 12-15 year olds. Let’s celebrate seasonal cooking and all it has to offer! Once a month, we’ll gather in the kitchen and cook with seasonal produce. August in the Northwest puts a spotlight on triple tomatoes, potatoes, halibut, peaches and blackberries. Check out the next set of hands on cooking classes I will be teaching at Whole Foods Market in Redmond. Pack a picnic to take to your favorite park or to your own backyard. These recipes work great, even if prepared a day ahead. Squash, both yellow and green, are delicate enough to eat raw, yet versatile to pick up lots of flavor in cooked dishes. Today, we’ll have it both ways. Let’s celebrate seasonal cooking and all it has to offer! Once a month, we’ll gather in the kitchen and cook with seasonal produce. July in the Northwest puts a spotlight on triple C corn, cauliflower and cherries. 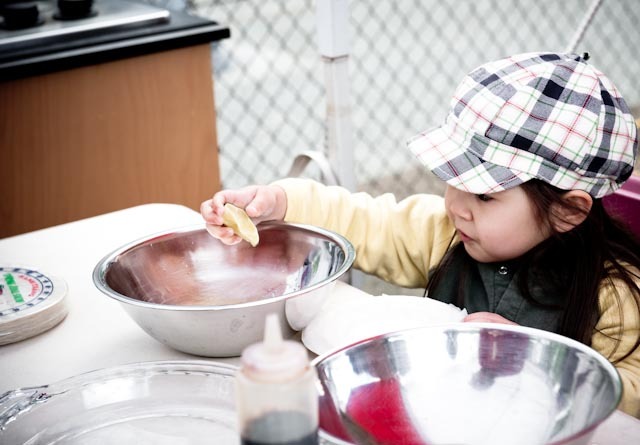 I’ve always enjoyed cooking with children. Their eagerness and honesty make them perfect students. They ask the best and funniest questions. Their little faces tell you exactly what they think about something that you just cooked. 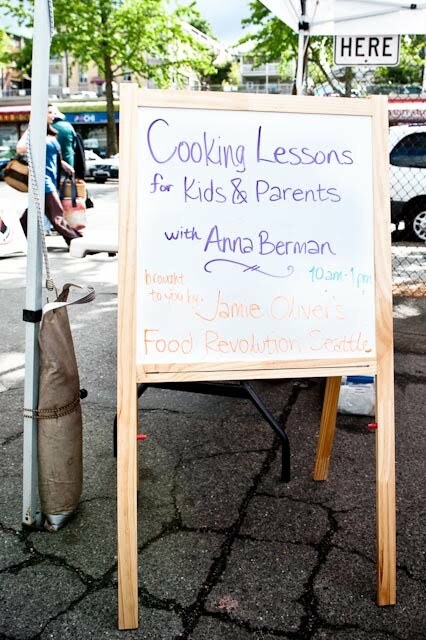 I was watching Jamie Oliver’s Food Revolution and was beyond astonished to learn that some children can’t recognize what a potato is, but can easily identify frozen french fries and chicken nuggets. 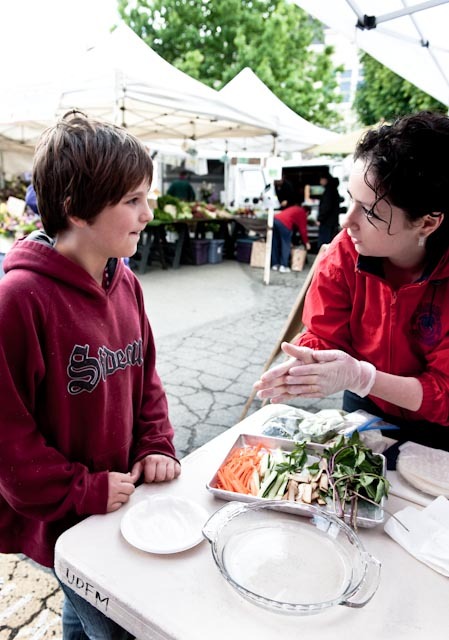 That one clip, had so much power for so many people and gave a rise to the Seattle’s Chapter of Food Revolution. Started by Hsiao–Ching Chou, the Seattle Chapter is growing and I was so happy to take a part in it. 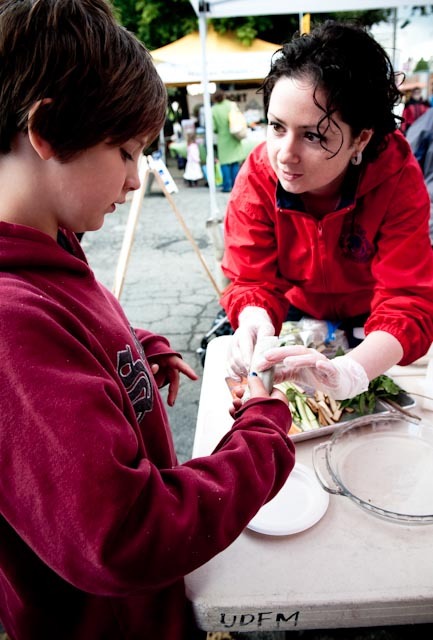 As part of its mission, the JOFRSEA offers free cooking classes for kids at local markets. 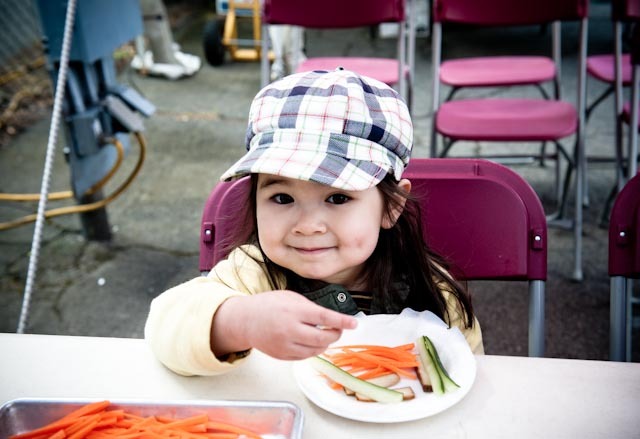 Last Saturday, I went to the University District Farmers Market to make some spring rolls with kids. There was even a sign with my name to make it all official! 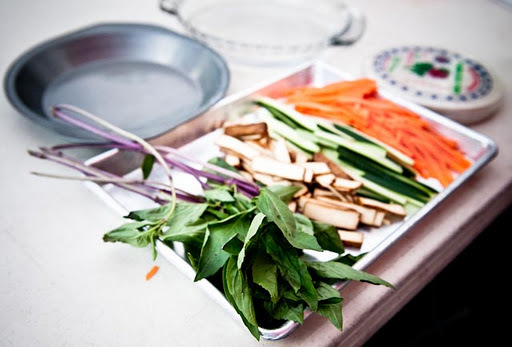 The spring rolls are a perfect interactive and easy recipe to make with your children. All you need is rice paper, hot water, ingredients for the filling and sauce. The rolling possibilities are endless. We used carrots, cucumbers, basil, tofu, and lettuce as our filling. The dipping sauce was a quick stir of soy, lime juice and garlic. The kids were eager to roll and were happy with results! Thank you so much to Valentina Vitols for gorgeous photography!